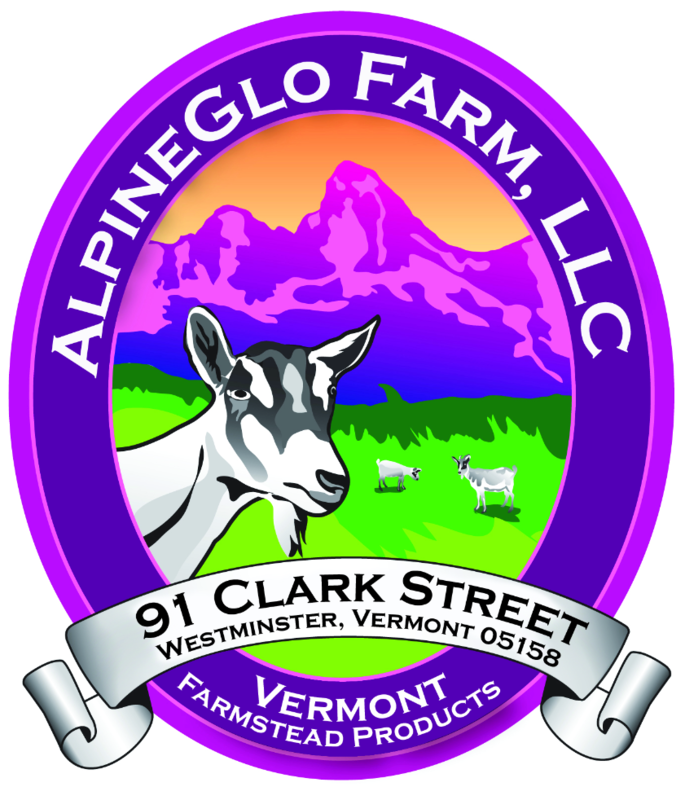 AlpineGlo Farm is tucked on a small hillside in Westminster, and has been the site of our homestead since 2001. We originally intended the property to be a place to raise and train horses, as my husband and I both have a strong equine background, but we soon found many more uses for the property. As the years passed the property truly became a homestead that allowed us to transform our lifestyle into a self-sufficient way of living: we processed our own firewood, raised our own meat (chicken, pork, duck), and grew our own vegetables. The only thing we were missing was our own dairy products. I had always had a handful of goats around(for more than 20 years). They serve as great animal companions for horses, earn their keep as portable lawn mowers, and provide great entertainment in any barnyard. In 2011 I decided to take my love for goats one step further and enter the dairy world. I purchased three registered Alpine does with the intention of producing milk for the family. I decided to pursue Alpines because of their strong dairy lineage, friendly personality, cold hardiness, and of course for those irresistible cute faces! In 2012 we had our first taste of fresh goat’s milk and loved it. It’s nothing like the rumors you hear of “goatiness” or “gamey” – it is fresh, creamy and delicious. Goat’s milk is great in your morning coffee, makes a variety of soft cheeses, ricotta, mozzarella, feta, yogurt, and even caramel sauce. I was hooked. Each year the herd has grown, and this spring we will have a dozen does in milk. And I should have known that my homesteading partners would multiply and eventually turn into a business; April 2016 will mark the official launch of AlpineGlo Farm cheeses. The Sales Shack is located at the top of the driveway. Open daily during daylight hours April-December. Stocked with all of our cheeses, caramel sauces, jams, jellies, feed bag shopping bags, and whatever else we might have available! Our classic Chevre mixed with pure Vermont Maple Syrup. A little bit tangy, a little bit sweet! Awesome spread over toast. 4oz. A fresh goats milk Feta, mild flavor and creamy texture. Marinated in a blend of olive and sunflower oils, herbs, sundried tomatoes and garlic. Great as an appetizer or instant dinner. Pour entire contents right onto a salad or pasta! 4oz. of cheese, entire contents 10 oz. Creamy goats milk cheese spread, buttery tones. Use as you would cream cheese; makes a delicious filling for stuffed shelles, enchiladas, and for baking. 8oz. Our classic Chevre rolled in a blend of Herbs de Provence. Lovely on a cheese platter and enjoyed with crackers. 4oz. Creamy goats milk cheese spread flavored with garlic, dill, salt, and pepper. Great as a sandwich spread, on crackers, in mashed potatoes, or bagels. My personal favorite! 4 or 8oz. Our classic tangy Chevre rolled in sweet cranberries and homemade candied walnuts. A great combo of sweet and tangy! Developed after our most popular Cranberry-Walnut Goat Cheese lunch wrap. 4oz.